We’re pleased to share that the Autism Spectrum Connection website has a new look and feel! Autism Spectrum Connection is an online space for parents and families who have a child with autism. 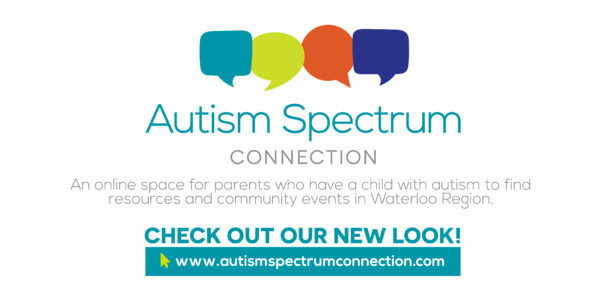 Visit www.autismspectrumconnection.com to stay up to date with the latest events and resources in Waterloo Region. Be sure to follow along on Twitter @AutismWaterloo.